Horizon Distributors opened its first location in Maryland, conveniently set five minutes from the Wright Manufacturing commercial lawn mower facility in Frederick. The 10,000-square-foot store will focus on serving commercial and residential landscape contractors, municipalities and grounds maintenance people. 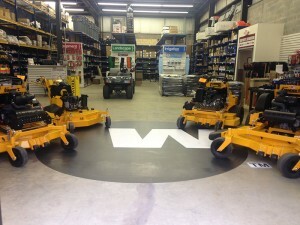 Wright has been Horizon’s lead mower line in the Mid-Atlantic zone since the middle of last year, said Geoff Conway, Horizon’s Mid-Atlantic zone manager.